Last week, that video went viral in the world for a good reason. 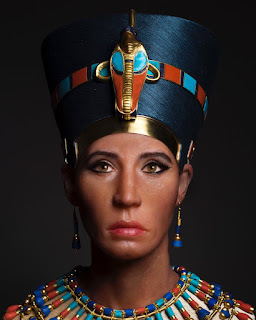 It gave the world for the first time after nearly 3400 years how legendary beauty Queen Nefertiti may have looked like thanks to 3D imaging and forensic reconstruction. Originally produced by Travel channel’s Expedition Unknown, Josh Gates and his team borrowed the skull of Nefertiti from the Egyptian Museum in Cairo where her mummy is. The mummy of Queen Nefertiti was discovered reportedly in 1898 by French Egyptologist Victor Loret at tomb KV35 in Luxor’s Valley of the King. Many archeologists and Egyptologists believe that a mummy labeled in the tomb as “The Younger lady” was the famous Queen Nefertiti despite her DNA says that she was the mother of King Tutankhamun. Queen Nefertiti is said to give birth to six princesses only. 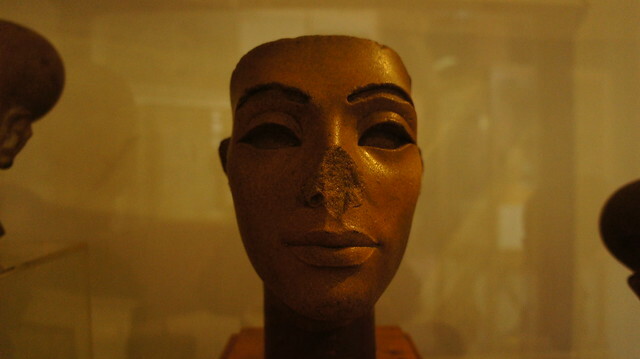 Anyhow the photo of the younger lady mummy’s head made me believe that she was Nefertiti thanks to her elongated head. 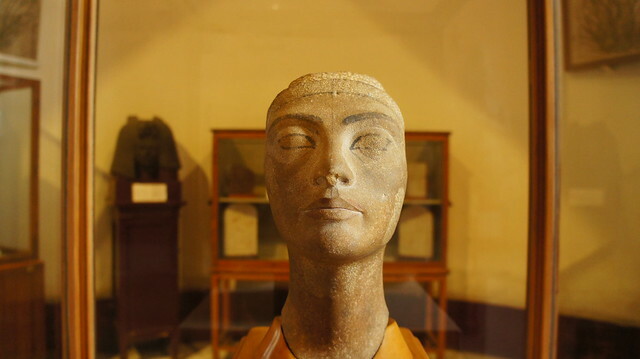 Maybe She has a magnificent bust in the Egyptian Museum of Berlin that must return back to Egypt but she also got other beautiful busts in the Egyptian Museum of Cairo. 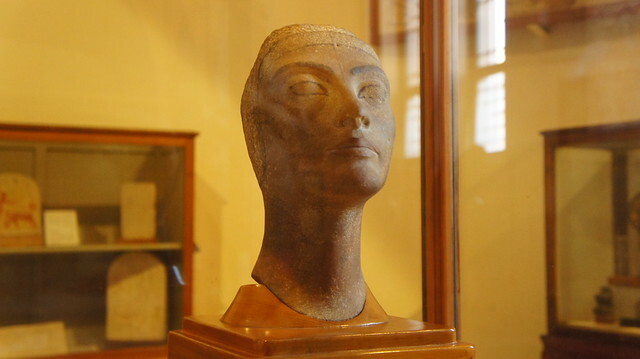 I will seize this opportunity and take a short break from Presidential elections news as well that new Comprehensive Military operation against terrorism in Egypt to post a couple of beautiful photos for beautiful Queen Nefertiti from the Egyptian Museum of Cairo. 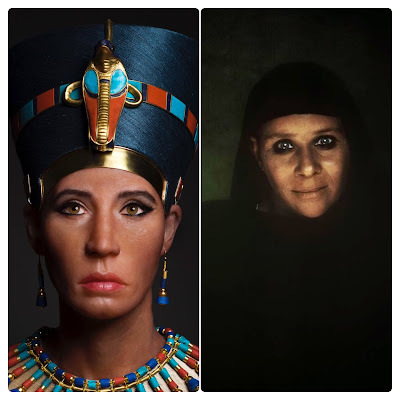 There was the usual debate between African Americans in particular and white Americans as well Europeans about whether Her ancient Roya Highness was black or White, well she was an Egyptian from North Africa and the Middle East. She is not black nor white. From her busts whether in Berlin or Cairo Museums, I would say that she seemed to be olive. There is no whitewash of anything here. Ancient Egyptians are like Modern Egyptians came in every size, shape and color. When I think about the ancient history of Egypt and see what happened to the dynasty of Akhenaten in the Modern Kingdom and how the Amon priests and military like Horemheb intended to erase their complete existence from history without knowing that they actually immortalized them ironically !! By hiding their tombs and erasing their names, their faces, their statues and the capital of Amarna as well the Amon priests thought that they erased Akhenaten and his revolutionary monotheistic Aten beliefs. Ironically thousands of years later, we found the tomb of Tutankhamun untouched as well the tombs of Akhenaten and Nefertiti with their statues and treasures that dazzled the whole world. Tutankhamun is more famous than Horemheb, hell that teenager became the most famous ruler of Egypt. Akhenaten is considered a revolutionary figure with his religious beliefs and he became more famous than his military commanders and Amon priests altogether.